While he didn’t get the part-time announcing job, the owner of the station told Curtis he would sell him an hour each week which Curtis could re-sell to the merchants of his hometown in Bessemer City which didn’t have a radio station. Curtis discovered that he could sell the time for more than he paid each week, and that was the beginning of his broadcast management career. View Full Bio. 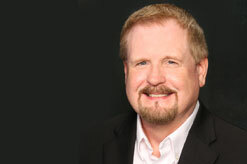 More than twenty years ago, Trip began his broadcast career as an Account Executive with our own 94.7 WQDR, where he delivered winning marketing campaigns for his customers, earning him a reputation for creativity, exemplary service and personal integrity. He later managed WQDR, where he achieved record-setting ratings, sales and profits. In 2010, Trip left Curtis Media Group for Charlotte where he served as Vice President and Station Manager of Greater Media Charlotte stations WBT AM/FM, 107.9 The Link, and the Bob & Sheri Radio Network. 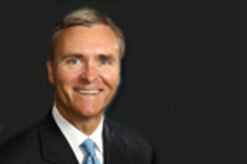 Trip returned to Curtis Media Group in late 2013 to lead the company as Executive Vice President. Trip has twice been recognized as one of the Best Managers in Radio by Radio Ink Magazine. He currently serves as Vice President of Radio on the Board of Directors of the North Carolina Association of Broadcasters. He is also on the Board of Visitors of the UNC Children’s Hospital. Trip is a native of Chapel Hill, North Carolina and an alumnus of the University of North Carolina at Chapel Hill. Trip lives in Raleigh with his wife Dolly and their two children. 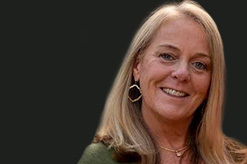 Co-founder of Curtis Media Group, Barbara held nearly every position over the years from accounting to sales. 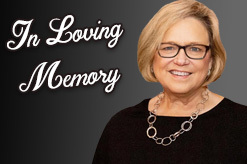 Barbara passed away into the loving hands of her Lord and Savior on March 6, 2019. She is forever in our hearts. Listen to the service/read Barbara’s obituary. For nearly 20 years, Howard has managed the financial aspects of CMG, not an easy task for a company that has experienced such growth over many years. Despite tracking revenues, expenses, assets, liabilities, capital improvements, contracts, taxes and a host of related issues for more than two dozen stations in multiple companies and various markets, he manages to keep things remarkably organized, legal and well, “accountable”. Not your typical “bean counter”, Howard has a very approachable demeanor, a dry sense of humor and a relaxed management style make him a perfect fit for this anything but “widgets” industry. As a Certified Public Accountant, Howard combines a savvy command of the best practices in the industry, a strong work ethic and willingness to do whatever is necessary to succeed. He has earned the respect of managers and staff alike. Howard is a Newton, North Carolina native and an alumnus of North Carolina State University. 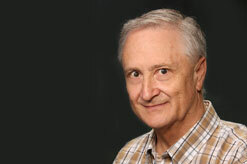 Howard lives in Cary with his wife Linda. Liza brings her tireless energy and passion to the CMG team as the Director of Career Development. A savvy connector with a passion for cultivating great talent, Liza has more than a decade of experience recruiting, training, and mentoring leaders in key positions at nonprofits in the Triangle area as well as nationally for PTA and Mom Congress. 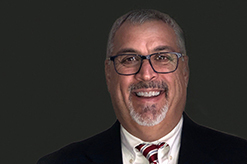 Chuck’s career began in Atlanta, where he rose quickly through the ranks to manage the Atlanta office of McGavren-Guild, with responsibility for more than $18 million in annual billing representing stations across the country with Atlanta based agencies. In addition to running the CMG Southern Sales enterprise, Chuck also works with the new McGavren-Guild in additional markets around the country to coordinate sales on behalf of Curtis Media Group, and other partner stations. A creative problem solver and strategic thinker, Darren has spent a majority of the last 25 years in the regional radio network and advertising agency environment working with regional and national advertisers. Darren has managed radio networks across the South and Mid-Atlantic as well as station market management for some of the largest media organizations in the industry. His vast experience in both the media and advertising agency worlds provides his clients great insight in how to effectively market their product and services. 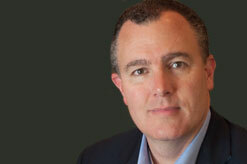 As he leads Curtis Media Group’s Network Division based in Raleigh. He is past president of the National Association of State Radio Networks. Darren has a passion for crafting custom marketing solutions for his clients and creating a culture committed to excellence. Darren is a graduate of the University of Kentucky holding a Bachelor’s of Science Degree in Communications and Marketing. An advertising sales veteran with a successful background in sports marketing, David joined the company in 2003 as an Account Executive and quickly rose through the ranks to hold positions in sales management, station management, cluster management and now network management. 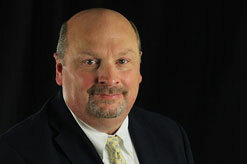 As Senior Vice President, he leads the North Carolina News Network, Southern Farm Network and Triangle Traffic Network. To his colleagues, David is always on a mission, a relentless seller and goal-oriented manager. To those he manages, he is a great resource and team player, who utilizes his coaching background to find the unique way to motivate each one. To his clients, he provides creative and carefully crafted strategies to insure marketing success and return on investment. David, a Pine Level, North Carolina native is a graduate of Barton College and received his Masters in Education from Averett University. He lives in Clayton with his wife Kathleen and their two children. A North Carolina native, Shirley grew up in Buenos Aires, Argentina where her parents were Christian missionaries. Her early years in South America, combined with her fluency in Spanish give her a unique perspective on marketing to the growing Hispanic community in North Carolina. With her unique blend of retail management, radio and television media sales and management, including a Hispanic market focus, and a broad and deep knowledge of the Triangle area, Shirley is the perfect leader for the La Ley sales team. Shirley was a top Account Executive with Univision television in Raleigh-Durham before joining CMG in 2014, and has built a customer-focused sales team for our popular Spanish regional station. Shirley’s passionate understanding for the Latino customer, her trademark customer service for clients and the professional development of her team members are the keys to success for this unique radio property in our group. Shirley Lives in Raleigh with her son and daughter. A native of Marion, South Carolina, Robert got his start in radio more than thirty years ago with Grand Strand Broadcasting in Myrtle Beach as an Account Executive for heritage station, WKZQ. He moved to Raleigh in the late 1980’s to accept a position with Capitol Broadcasting; he later moved in to sales management and became General Sales Manager of WRAL-FM. Robert is a graduate of the University of South Carolina and is active in the Raleigh community, having served on various committees and boards. Robert is currently on the Board of Directors of the Episcopal Campus Ministry in Raleigh, and is an avid tennis player. Robert is married to the former Elizabeth Musselwhite of Raleigh and they have two daughters, and they are active members of Christ Episcopal Church in Raleigh. A native of St. Louis MO, Dave earned his degree in advertising from the University of Missouri School of Journalism. Dave began his advertising career in 1991 with Media That Works (now Empower) in Cincinnati, OH. 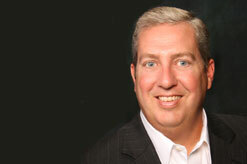 He was recruited back to St. Louis as an Account Planner for Advanswers Media/Programming in 1995. 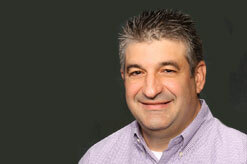 Dave moved to radio sales at KIHT-FM in St. Louis in 1996. 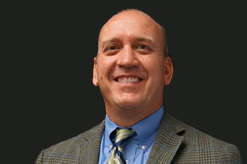 He spent 22 years in radio sales in St. Louis, 9 years as a top-performing Account Executive and 13 years in various forms of Sales Management including; National Sales Manager, Political Sales Manager, Local Sales Manager and most recently General Sales Manager of Entercom’s KYKY-FM/KEZK-FM/KNOU-FM. Dave loves solving problems and helping my clients and colleagues succeed by developing strategic marketing campaigns tailored to achieve client goals. A Florida resident for all but 4 months of his life, Chris has been in Radio since 1985. Born in Savannah Georgia, Chris grew up in Jacksonville, Tallahassee and Orlando Florida. His marketing knowledge and desire to lead talented individuals has provided a great environment for success. Chris’ Radio background with Shamrock Communications, Cox Media Group and most recently JVC Broadcasting has provided him the experience and training to provide a Customer focused environment for all. If you need an idea, you can count on Chris and his team to develop something that will be effective, help you stand out and advance your brand. Chris attended Florida State University for undergraduate work and graduated from the University of Central Florida with a Radio/TV degree. Chris and Renee, his wife of 32 years, have a son who graduated Florida State University and lives in Los Angeles and a daughter who is a Junior at the University of Central Florida. 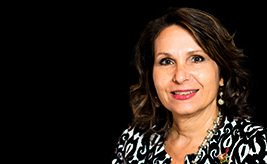 A University of North Carolina graduate, Zina has been in advertising sales and sales management for 28 years. Zina began her career with the Herald Sun/Chapel Hill Herald. 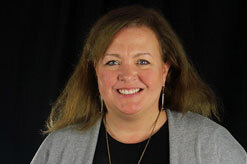 After 13 years in print, she moved into broadcast to become the sales manager and General Manager of 97.9 WCHL in Chapel Hill. Zina joined Curtis Media Group in 2011 as a Senior Account Executive for WQDR and was Salesperson of the Year in 2015. Zina is thrilled to bring her sales and management experience to the Western Triangle. One of our newer ventures is ACC Sports, an established print venture purchased in 2012 and since further developed into newspaper, magazine, digital and on-air products. With such a promising future, this division required the passion of a true ACC fan, combined with the organizational and logistical skills of a hands-on manager. 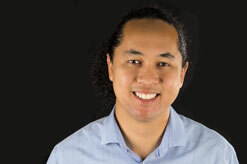 Jason had been producing the company’s Carolina Newsmaker’s program for the North Carolina News Network, and his strong work ethic, attention to detail and excitement for the products made him a natural choice for manager. He oversees the publishing of the bi-weekly newspaper, quarterly magazine, premium content website and circulation and distribution aspects of this labor intensive and very deadline-oriented division, all the while maintaining a calm and approachable “we’ve got this” management style. Jason is a native of Orlando Florida, and is an alumnus of the University of North Carolina at Chapel Hill. He lives in Raleigh with his wife, Rachel. A true broadcast veteran, Al’s thirty-plus years in the industry runs the gamut from part-time announcer to station owner, and we are glad he has been part of our management team since 1999. His market background is equally diverse, including Charlotte and Raleigh, Lenoir and Boone, and now the Triad, and in each market he has quickly become an active and prominent member of the community. His ability to multi-task and deliver fresh energy to whatever assignment he undertakes is remarkable. Whether in his role as Managing Member of his three station group in Lenoir, NC, his oversight responsibilities for our six station Boone cluster, or his on-site General Manager role for our stations in the Triad, Al is pulled in many directions but manages to remain focused. A skilled people manager, he seeks out the very best and develops talent in all areas, often from outside the industry, with great success. Al is noted by his colleagues, clients and staff for being easy to work with as well as a great source for creative ideas. Al is a native of Edenton, North Carolina and is a graduate of the University of North Carolina at Chapel Hill. He lives in Winston-Salem with his wife, Lilly, and their son. Before joining CMG, Robin honed her sales skills in television advertising sales in the Charlotte market at WSOC-TV. As an Account Executive with our six station group based in Boone, she exhibited the kind of skills we look for in a manager and she was soon promoted to Market Manager. In addition to developing key client relationships, she now directs the sales and programming efforts of this cluster with a focus on managing inventory, revenue and staff development and overall profitability. Robin is dedicated to the radio industry and seeks to best serve the company by super-serving our listeners and advertisers. She also manages our regional website, GoBlueRidge.net, the “go to” place for all things High Country, which adds another tool for our stations and our advertisers to broaden their reach and establish their brand. Robin is a Hickory, North Carolina native, and an alumnus of the University of North Carolina at Chapel Hill. She lives in Boone with her husband and two children. Carrie is dedicated to the Goldsboro region and is making an impact on the air in the community by overseeing the efforts of Curtis Media Group’s Wayne and Lenoir County Cluster including: WZKT-FM, WGBR-AM, WFMC-AM, WELS-FM, WWMC-AM/FM, WSSG-AM/FM and GoldsboroDailyNews.com. With more than a decade of sales and management experience in the Greensboro area, Carrie is happy to be working in her hometown region of Wayne County. With her unique ideas and innovative approach, Carrie enjoys being apart of such a strong and passionate community. Carrie is an alumnus of UNCW with a BA in Psychology and lives in Mount Olive. An experienced marketer specializing in advertising for the past 23 years. Lisa’s experiences has been primarily been in radio and television advertising in Norfolk, VA and on the agency side in North Carolina. 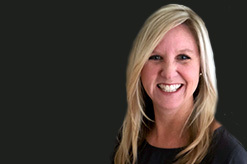 Lisa joined Curtis Marketing Group in 2017 as an Event Sales Manager then soon thereafter has become the General Manager managing four major events including the NC Wine Festival, The Man Expo and The Kid Expo. Her enthusiasm in creating fun and successful events is the driving factor for continued success. Lisa is a graduate of Old Dominion University in Norfolk, VA and has lived in Wake Forest since 2004 with her husband Chris and three children Caroline, Lauren and Hunter. 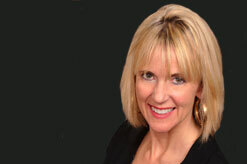 Lisa also serves on the Board of Directors for the Juvenile Diabetes Research Foundation (JDRF). Bryce has been with Curtis Media Group since the early days in Laurinburg, where he programmed our 100,000 watt station, a unique gospel format we called “Family Radio WSTS”. It was a mix of Christian talk programs and music. He also programmed WEWO, an automated A/C station. 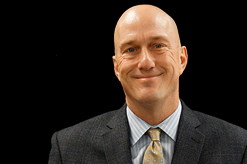 After many years of on-air, operations management and programming roles at various CMG stations in Laurinburg, Goldsboro, and Whiteville, Bryce moved to Raleigh to become Operations Director for heritage News/Talk 680 WPTF. When the internet came along he jumped to the digital side of things where he managed all CMG station websites, streaming, texting programs and the company email server. After 10+ years he was promoted to Operations & Affiliate Relations Director for the NC News Network. Most recently he became Station Manager for the Goldsboro cluster of CMG stations. Bryce is a graduate of Kent State University and lives in Raleigh. 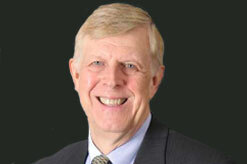 Paul has seen more change in the broadcast industry over his many years in the business than most. 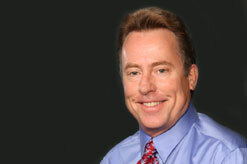 Paul began his career with stations in his native California and Reno, Nevada. His service in the US Army brought him to North Carolina. By the time he joined Curtis Media Group in 2001, he had almost 40 years’ experience with other stations and groups in roles ranging from air personality to program director to station and operations management. At CMG, Paul is responsible for IT operations including computers, the corporate e-mail system, phones, networking infrastructure, Internet and cyber security. He also insures that all CMG stations operate strictly within the legal limits established by the FCC including transmitter readings, Emergency Alert systems, local public files and the like. Paul holds an FCC General Radiotelephone license and various engineering and IT certifications. We are grateful to have his depth of experience and knowledge on our team. Paul and his wife Judy live near Wilson. When Allen joined the Company in 2005, he already had over twenty years experience with other broadcast groups, including roles in management of those operations. His ability to juggle multiple priorities in the normal daily routines of a group our size is impressive enough, but he consistently goes the extra mile to see that our many special projects stay on track as well. Whether it’s building translators, moving facilities, erecting towers or fine tuning complicated arrays for the best signal, Allen does it all with a calm and focused demeanor that belies the significant pressure inherent in our time-sensitive industry. In addition to a small staff of engineers, Allen works with contract and consulting engineers as well as industry partners to insure that the Curtis Media Group stations are always operating at maximum potential and efficiency. 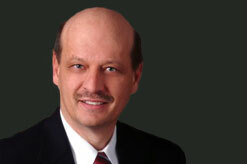 Allen is a graduate of North Carolina State University and lives in Raleigh with his wife, Annette. Rachael manages our growing digital portfolio. She has the skills and experience to take us to the next level. 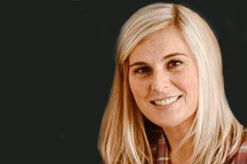 Rachael’s previous experience includes Digital Program Director for iHeart Media’s Raleigh stations. Her skills include multi-media editing, content management, web analytics, social media, e-commerce, digital advertising design and scheduling, promotions and even on-air, giving her a well-rounded background for this important part of our brands and our marketing portfolio for advertisers. Rachael is a native of Raleigh, North Carolina. She is a graduate of East Carolina University and lives in Raleigh.